Raleigh was, in fact, in New York City. Through pretty tireless searching of the historic record we "found" him almost 100 years later in the historic record, and what we have uncovered is damning evidence against the Calumet & Hecla (C&H) mining company officials, the legal firm of Rees, Robinson, and Petermann, and the Waddell-Mahon detective agency. 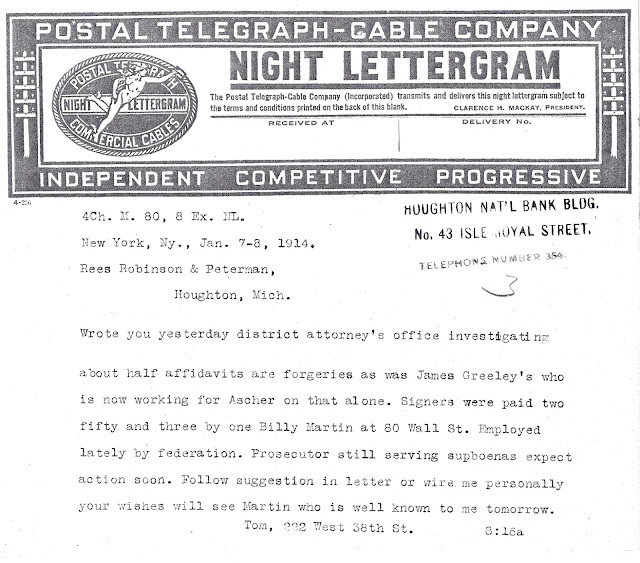 The two "memo" style correspondences above, one a telegram, show that Raleigh was still working for C&H and that he was spying on the WFM's New York offices. 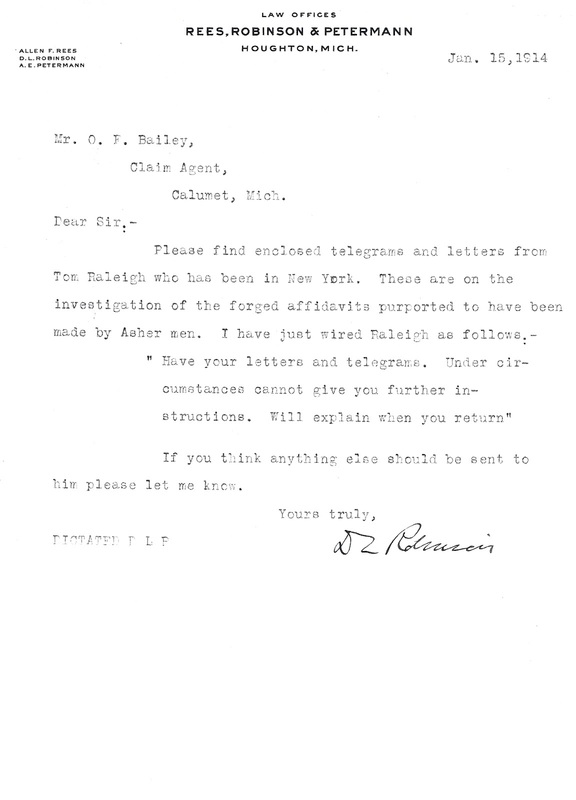 Raleigh was attempting to "bust" WFM witnesses from the Ascher Detective Agency who were signing affidavits that were unkind to mining company interests. The former Ascher agents were saying that Copper Country mining companies were advocating the use of violence against striking workers in addition to other unfavorable tactics during the strike. Raleigh was tasked with spying and confronting these men who were tattling on tactics used by mining companies during the strike. The next post will contain Raleigh's own words regarding one such confrontation.